DC water is reminding DC Department of Consumer and Regulatory Affairs construction permit applicants that the System Availability Fee (SAF) goes into effect on January 1, 2018 and that once in place it will impose a one-time fee on new, renovation and re-development construction projects. In 2015, DC Water’s Board of Directors started a process to get public input about the fee and the regulations for implementing it were approved in 2016, and published in the D.C. Register on June 17, 2016. DC Water will begin assessing the SAF on January 1, 2018. By January 1, 2018, you must submit sufficiently complete project plans and specifications to DC water and pay the DC Water Engineering Review fees at the time of the submission. You must be a DCRA Construction Permit Applicant i.e. 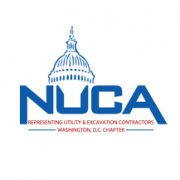 your plans to construct the project for which the SAF exemption applies must be “Under Review” by DCRA on or before the date the DC Water Certificate of Approval is issued. DC Water must issue your Certificate of Approval by January 1, 2018.